The official ceremony or celebration where the sacred association of a man & a woman is held is called as wedlock or a marriage. They are the occasions where not only the exchange of vows or wedding rings but the exchange of presents occurs on a huge level. To make the occasion even more special you look for unique gifts be it for baratis, along with invitations or for the newly-wed couple. To break the trend of gifting fattening sweets or to avoid any cultural taboos the idea of gifting Eco-friendly green plants is growing these days. 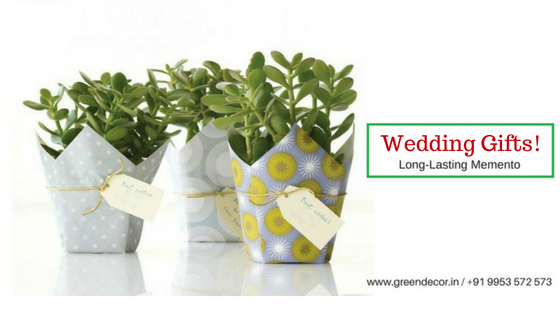 The trend of gifting plants can also be seen in some recent celebrity weddings. Indeed, even with minimal care succulents look great & can last months than a flower bouquet that dies within few days. However, with a little care they sustain season after season. With juicy leaves, stems and roots succulents look bright & stunning planted alone or as companions. Each time the recipient will have a glance of it will think of you. A complete value for money & unique in itself succulents helps to clean the air as well. So, whether you make an arrangement of succulents for the newlywed couple or a single succulent in a small tin will serve as a creative wedding favour for the guests. Bamboo is an ideal gift to bring good luck & fortune in the beginning of a relation. According to a Chinese tradition, Bamboo is known to bring conjugal bliss & concord between the couple. Apart from it many people keep bamboo in their office & homes to bring in the positive vibes. They not only look great but grow well in a vase filled with pebbles with just an inch of water above the pebbles. 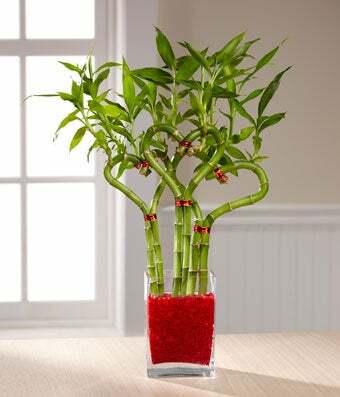 Another fact related to Bamboo plant is that receiving this plant from your loved ones as a gift is also supposed to bring luck. 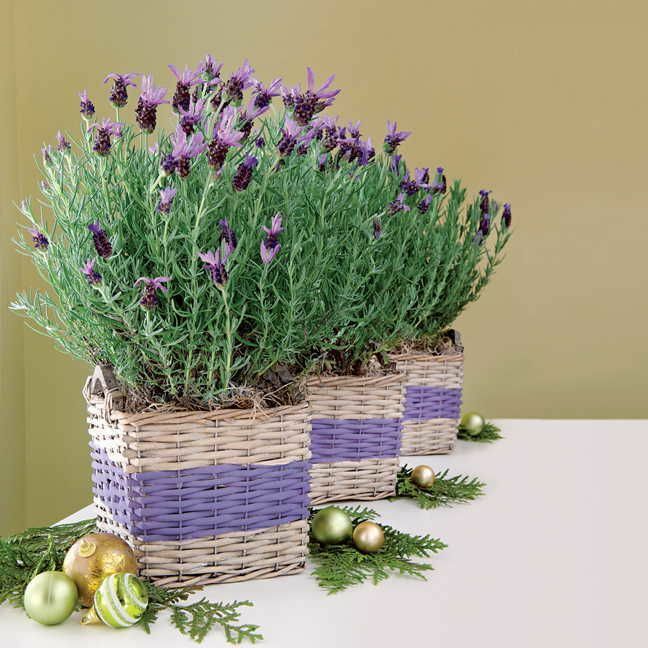 Long lasting and growing Lavender could be a perfect solution to your dilemma of choosing one fancy and unique gift for your friend’s wedding. The relaxing & calming scent of Lavender will bring an amazing sensory experience in recipient’s life especially if presented in a basket. They can be replanted in the garden for a year-round bloom spreading fragrance through their bright beautiful purple accent. Peace lily is one of the most admired plants with dark green foliage and white blooms. A little known fact about this tropical plant is that it cleans the indoor air apart from adding a statement to your home or office. Simply by being there in your home Peace Lily detoxes the air by neutralizing the toxins. It is believed that an indoor Bonsai tree will bring in a sense of calm & positivity apart from their unusual aesthetics to any interiors due to their stunning artistic structure. They ask for a careful approach due to their sensitive nature. These beautiful miniature versions of a tree will not only surprise a bride & groom but will always make them smile & think of you. Well, now when you have made up your mind to go for a green wedding gift, you really don’t need to worry about bringing each sapling at home to buy the best plants for your garden. 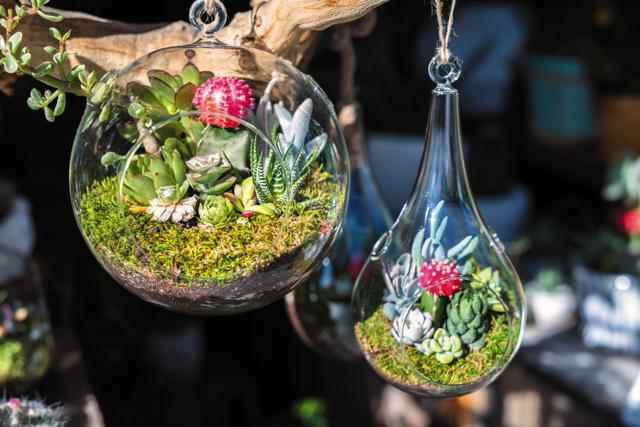 In this modern and high-tech age, a lot of online nurseries in Delhi, Kolkata Mumbai like big cities in India are offering a wide range of plants including succulents, foliage, flowering or Bonsai plants to buy online.